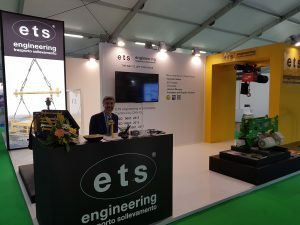 Great Success of ETS engineering Spa at OMC 2019 Conference. Thanks to everyone!!! Ravenna hosted the 2019 edition of the Omc-Offshore Mediterranean Conference & Exhibition, a biennial appointment dedicated to the international energy sector, now in its 14th edition. The oil industry fair saw 600 exhibitors from a highly technological and specialized sector flow into the Romagna city, of which 170 came from abroad. To open the event, the Undersecretary to the Presidency of the Council, Giancarlo Giorgetti, speaker of the plenary session entitled “Expanding Mediterranean Energy Sector: Fueling Regional growth”. During the three days of events, OMC closed with 23,400 visitors, a historical record reached by the event.